Sky is Europe’s leading entertainment company operating across five countries: UK and Ireland, Germany, Austria and Italy. 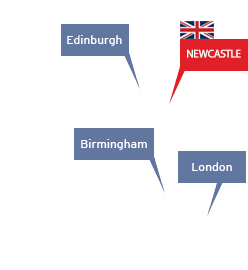 Sky has locations around the UK, with their Newcastle office being home to one of their customer centres, providing sales, retention and customer service support for broadband and talk, as well as a number of other support functions also based in Newcastle. Nicky Thackray, Head of Service Operations, said: "Sky is an amazing place to work. The culture is really forward looking, dynamic and fast-paced and we’re really proud of what we do. We love being at the cutting edge in our industry, constantly looking for ways to better serve our customers and keep them connected, and always looking to innovate with our products and services. We always love finding new talent to come and join us – people who love to put the customer at the heart of everything they do, and who can really contribute something special to our successful and passionate team would thrive working here." Sky base themselves in the communities in which their customers live and work, and therefore have a number of sites around the country. Sky felt confident that they would have access to a strong pool of local talent and a thriving business community. Nicky continued: “We have access to an excellent local talent pool – the calibre of people we see applying to work for Sky is really impressive. 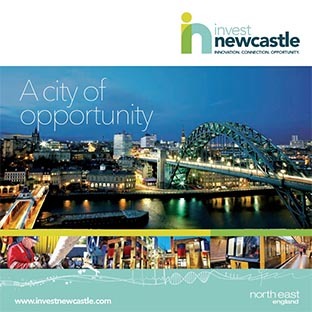 There are also many benefits to being based so centrally in Newcastle. The transport links for our staff to commute to work are fantastic, we have a number of Metro stations close by as well as being surrounded by bus stops that serve the local area. “Being so central means we’re easy for visitors or staff from other sites to get to, people can fly into Newcastle International Airport and then get to the office in 15 minutes or travel by train to Newcastle Central train station - a 10 minute walk away.